Carl is a Broker/Sales Associates and specializes in agricultural land sales and ag/commercial properties here in the Central Valley. 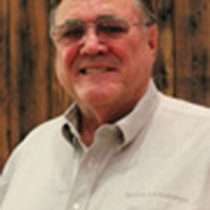 Carl was born in Reedley, CA into a farming family and as the oldest son learned many of the attributes of hard work and an enterprising spirit through that experience. He graduated from Wheaton College, Wheaton, IL earning a BA in history and political science and a Commission in the U.S. Army. He received a secondary teaching credential and maters degree from Fresno State and spent 10 years teaching U.S. government/history at Reedley High School. At age 40 he retired to take up a farming career with the goal of becoming a Grower/Packer/Shipper of California fruits. The goal was achieved as he operated a sizable company called Sunny Cal Packing and Fruit Sales, Inc. for 20 years.